Tree Mugwort plant, Artemisia verlotorum, is very useful as a quick hedge or windbreaks. The leaves are used to worm animals. Flowers are a bee attractant. 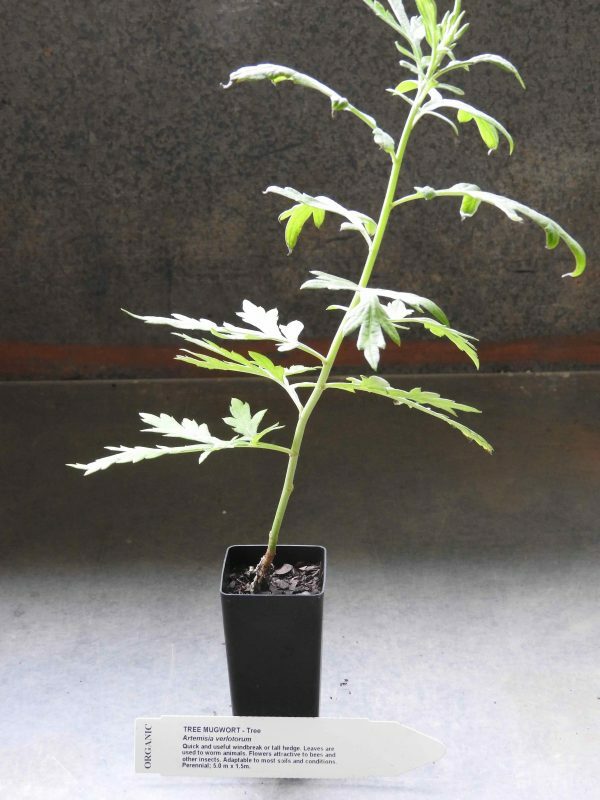 Tree Mugwort plant is adaptable to most soils and conditions. Drought and frost tender. A perennial shrub, growing to 5.0 m x 1.5m. Be the first to review “Mugwort, Tree plant” Click here to cancel reply.